Earlier this year guitarist Julian Lage released Modern Lore, the second album to feature his trio with Scott Colley on bass and Kenny Wollesen on drums. The group appears at the Music Hall of Williamsburg on Nov. 29. 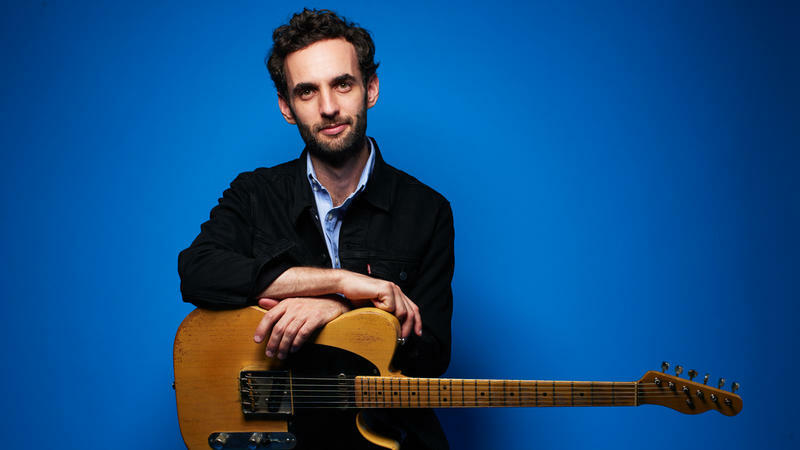 Listen to the Julian Lage trio perform live on The Checkout. Lage, a former child prodigy, recently brought the trio to WBGO to play some of the tunes from Modern Lore, and talk about the mentors who have shaped his experience in music: guitar maestro Jim Hall, whom he met at age 11 and later toured with; vibraphonist Gary Burton, who brought him on tour as a teenager; and composer and saxophonist John Zorn, who has been a more recent collaborative influence. Fittingly, Lage's new music has a bit more urgency than before, as you can see and hear in this version of “Look Book,” from our studio. Right out of the gate, he introduces a bluesy idea in tandem with his drummer Eric Doob, followed by a bursting guitar solo with bassist Jorge Roeder to keep the momentum going. Subscribe to The Checkout on iTunes and Stitcher.